Wow! 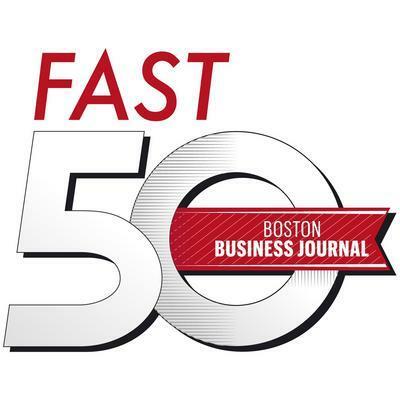 Once again, we are proud to announce that iuvo Technologies has been selected as one of the 2019 Boston Business Journal’s Fast 50. This is the 4TH year in a row that iuvo Technologies has been recognized with this exclusive award, honoring the 50 fastest growing private companies in Massachusetts. "This award is for all private companies in Massachusetts, so it is an honor to be included with some really great companies. Doing it once could be a fluke or lucky circumstances, but to do it 4 times means that we have a solid business and team. Because we are growing mostly through referrals, it means that our customers love our service and continue to do so," remarked Bryon Beilman, President & CEO of iuvo Technologies. More than 140 privately held companies applied to this year's award and we’re so elated that we’ve been e selected as one of the winners. So, what do we attribute our success to? Our awesome sauce! "When I say our team members drink the awesome sauce it means that they know how to deliver better service than any other IT company out there, period. We respond quickly with empathy and a positive attitude, then we solve the problem quickly. We do this because we hire people with the best combination of excellent technical and customer service skills. We hire the best, then our culture of excellence and collaboration is like someone taking all the excellent ingredients and mixing it “just right” to make the "awesome sauce," Bryon said. We are excited for the continued opportunity to represent the Fast 50 and for businesses in Massachusetts to learn more about our vision to empower them. "We are going to continue to deliver greater value to our customers. I want to be the measurable difference in why our customers are more successful or competitive in their own markets. We are their secret weapon and perhaps by continuing to be one of the best performing companies in Massachusetts, we will no longer be so secret." We can't wait to take part in the awards night in May! The Boston Business Journal is Boston's leading source of business news, information and events; strategically targeting businesses decision makers. Their media products provide comprehensive coverage of business news from a local, regional and national perspective reaching their readers through the weekly print publications, their website www.bostonbusinessjournal.com, e-mail products and events. The Boston Business Journal is published by American City Business Journals, the nation's largest publisher of metropolitan business news.